Tom Hanks has had a decent career outside of writing. He’s acted in a couple good movies. He has won a couple awards. His son is on a TV show. Nobody has accused him of sexual assault yet. He has stayed married for a while, I think. By Hollywood standards, he’s doing alright. 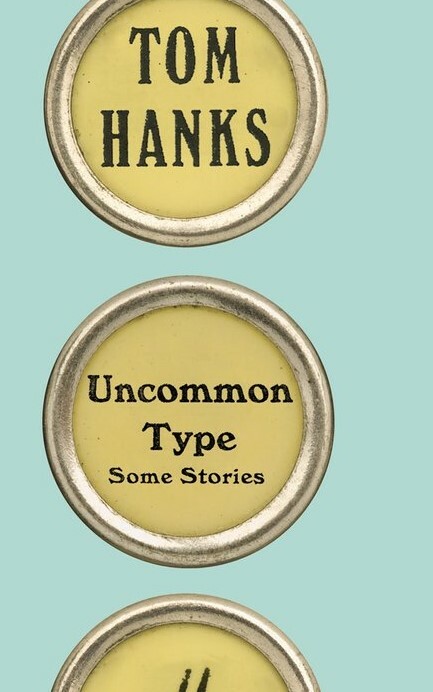 Now he’s written a collection of short stories called Uncommon Type: Some Stories. Normally I roll my eyes at celebrity books, but I decided to give his a chance. After all, he’s Tom Hanks. He didn’t write a children’s book. It’s not a political book. And it’s not a Hollywood insider book. It’s a book of short stories. That’s an unusual approach for a celebrity, and I appreciate unusual approaches. I know nobody cares what I think of Tom Hanks’s writing. Fans of Tom Hanks won’t care if I don’t like it because they like Tom Hanks. Tom Hanks doesn’t care because he’s rich, even without his writing. At least, he shouldn’t care. But maybe he does. Maybe he’s just as insecure about his writing as every other writer. That would be funny, one of the most successful actors of a generation nervously reading reviews of his book. After a glance of his first short story “Three Exhausting Weeks,” I’ve decided that Tom Hanks should not write in the 1st person point-of-view. That is my only criticism. Since I can picture Tom Hanks in every phase of his life, I visualize the narrator of this story as Tom Hanks. Even if the narrator had been female, I would have pictured her as Tom Hanks. That’s not necessarily his fault. It’s the price of being Tom Hanks. When you’re Tom Hanks, a lot of readers might visualize your protagonist as Tom Hanks. While I was reading this scene, I thought, of course the woman is flirting with Tom Hanks. Every woman would flirt with Tom Hanks. Even women who don’t flirt would flirt with Tom Hanks. My wife would flirt with Tom Hanks. I’d flirt with Tom Hanks. If this scene were in the 3rd person, maybe I could imagine a character who wasn’t sure if the woman were flirting with him. But this is Tom Hanks. Even if the character isn’t Tom Hanks, he’s still Tom Hanks. Maybe Tom Hanks should write under a different name. Unfortunately, the book wouldn’t get the publicity and perhaps nobody would read it, and that would defeat the purpose of a celebrity book. If I were Tom Hanks, I’d want everybody to read my book too, so I’d put my name on it. 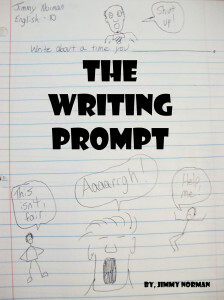 But I’d write my stories in the 3rd person. At least the first story in the collection would be in the 3rd person. A few years ago, Tom Hanks wrote a piece about his love of typewriters. I gently mocked it because he used his op-ed opportunity to gush about typewriters when there were other issues he could have talked about. I’m sure he has some uncommon typewriters in his collection. Maybe he used an uncommon typewriter to write these stories. Now he has a book called Uncommon Type. I’m sure it means something. Here are two books that I wrote under a different name. Maybe I’m Tom Hanks. Okay, I admit, I’m not Tom Hanks, but what if I were? I actually didn’t mind the first-person POV. It enhances his naïveté, sort of. « Thank You, Stephen King!